You don't have to forget what happened, but you can't make it so it won't happen again, that nobody has to live this way. That every life is worth something. 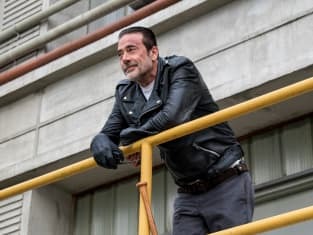 The Walking Dead Season 8 Episode 15: "Worth"
[reading Carl's letter to Negan] I hope my dad offers you peace ... I hope you take it. I hope everything can change, it did for me. Start over ... you still can. I got plans for you. Permalink: I got plans for you.